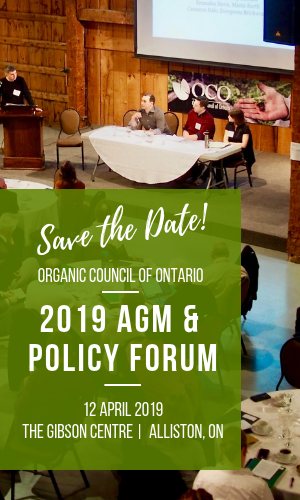 Join the Organic Council of Ontario to celebrate the 2018 Annual General Meeting & Policy Forum on April 13th at the Country Heritage Park in Milton Ontario. 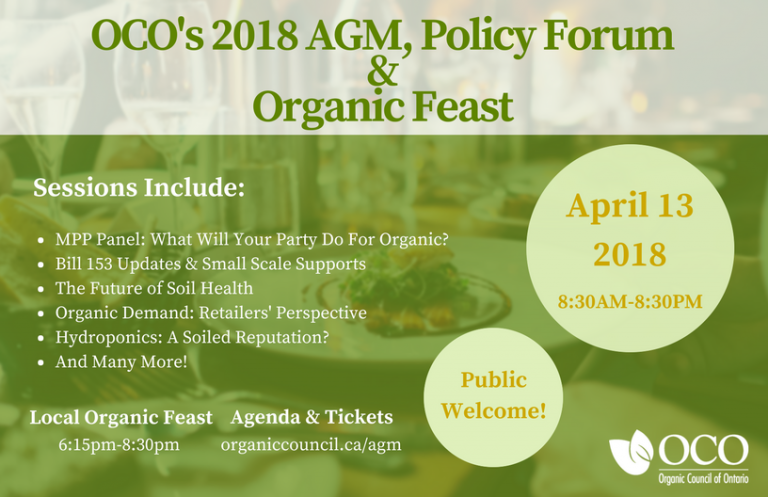 We would like to invite OCO members and the general public to participate in a day of informative presentations, sessions, an exciting tour of the park, and a delicious local organic tasting experience! 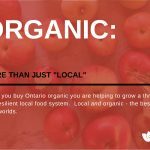 We've planned a series of engaging and informative sessions featuring informed members of the Ontario Organic community! You're welcome to attend the whole day, just the AGM (please note that the AGM portion of the day is free for all OCO members). See agenda for speaker details. Join us for a series of seasonal taste sensations, featuring local chefs and food businesses! The whole day is open to the public, but we especially encourage you to invite your organic-minded friends and guests to attend the local organic tasting experience taking place from 6:00pm-8:30pm. The event will be held in the Gambrel Barn at Country Heritage Park in Milton. For directions, please visit the venue website. Be sure to enter via the clearly marked Visitor Entrance, and use the visitor parking lot. There will be directional signage from the visitor parking lot to the Gambrel Barn, which is also clearly marked. 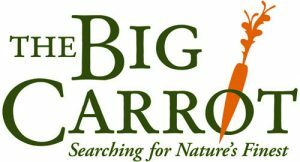 9:00 AM- The Future of Soil Health: What is the Role of Organic Agriculture? Emmalea Davis - Mama Earth Organics Inc.
4:30 PM- MPP Panel: What Will Your Party Do For Organic? 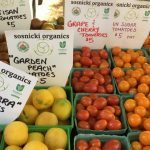 6:15 PM- Local Organic Tasting Experience!